The World Series of Poker Europe, which took place in Berlin, Germany this year, has now reached its conclusion. 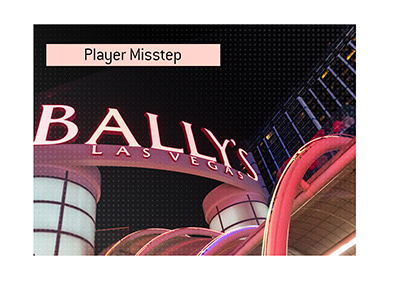 Heading into Friday, there were two WSOPE tournaments that had yet to finish - Event #9 (Main Event) and Event #10 (High Roller No Limit Hold'em). Jonathan Duhamel, winner of the 2010 World Series of Poker main event title, overcame a stacked final table to take down the 25,600 EUR High Roller event. Duhamel, who said that the tournament was one of the toughest that he has ever played, managed to outlast Davidi Kitai, Mustaph Kanit, Sam Chartier, Christoph Vogelsang, Fedor Holz and Timothy Adams at the final table to take down the third World Series of Poker bracelet of his career. Duhamel, who now has over $17 million in total lifetime tournament cashes, also won a bracelet in the $111,111 High Roller for ONE Drop event earlier in the summer. 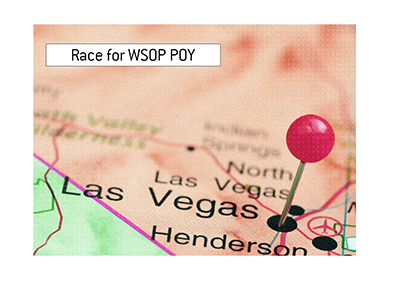 As a result of his incredibly strong performances at this year's WSOP and WSOPE events, Duhamel managed to secure himself a second place finish in the 2015 WSOP Player of the Year race. In the end, Duhamel ended up finishing roughly 80 points behind the 1st place finisher, Mike Gorodinsky. Speaking of the WSOP POY race, Kevin MacPhee managed to parlay a chip lead heading into the WSOPE main event final table into a victory. As a result of his win, MacPhee walked away with over 800k EUR and a third place finish on the WSOP Player of the Year leaderboard, behind the aforementioned Gorodinsky and Duhamel. As a result of the victory, MacPhee now has over $5 million in live tournament cashes to go with his $7 million+ in online tournament cashes. Like Duhamel, MacPhee captured his second bracelet of the year this past weekend, as he also won the $5,000 Turbo event at this past summer's WSOP. MacPhee also had to deal with some stiff competition at the final table, as JC Alvarado and Andrew Lichtenberger are both skilled and experienced players. In the end, however, MacPhee held on for the victory. 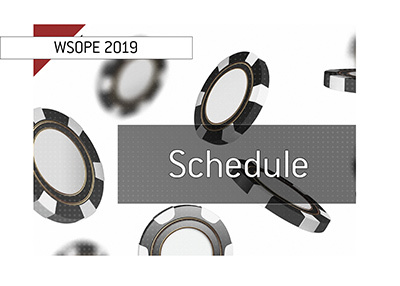 Now that the WSOPE has been wrapped up for another year, players are turning their attention to upcoming tournaments in London (WPT London) and Prague.